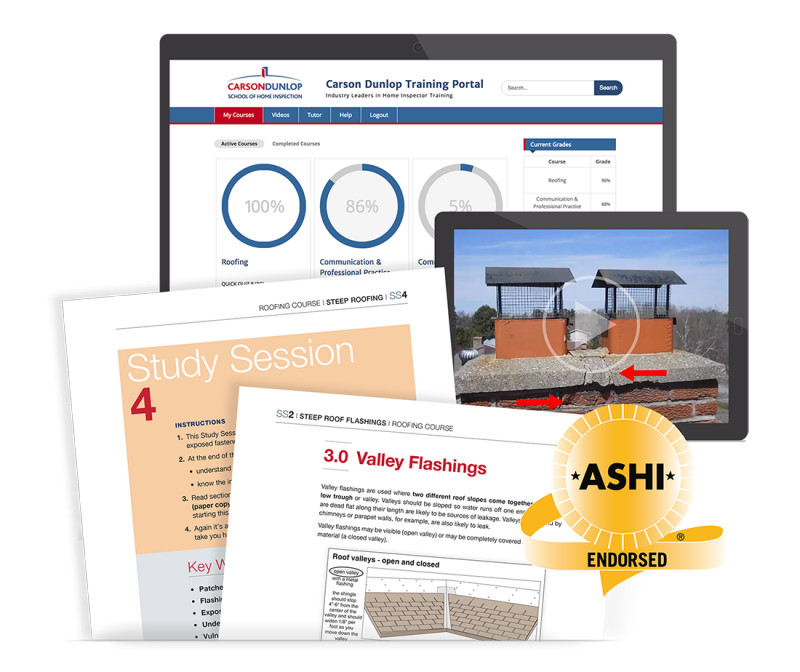 The ASHI@HOME Home Inspection Training Program is a complete learning experience. It includes all of the instruction and support you need to become a successful home inspector. Free Inspector’s Edge website — six months free home inspector website, call 1-877-498-3343 to redeem! 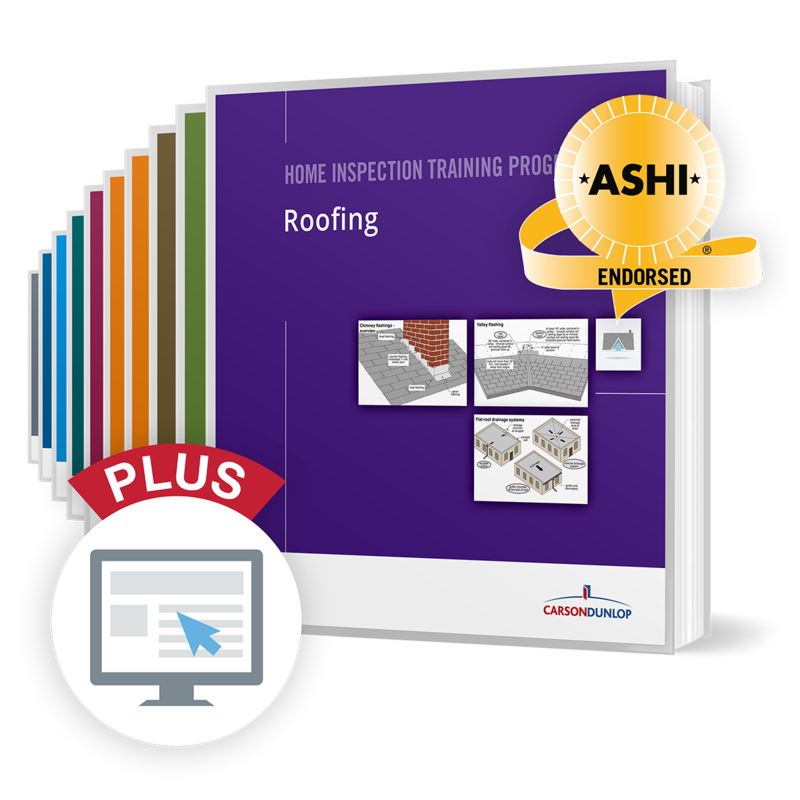 The ASHI@HOME Home Inspection Training Program is for people who want to start a career as a home inspector the right way. It is not an introductory or overview program. It is a thorough and complete education in all areas of the home inspection field. The Program is backed by ASHI, America’s most respected home inspection association and the only association recognized as a certifying body by the National Commission for Certifying Agencies (NCCA). Plus, it is built on our 40 years of experience in the home inspection industry and our unmatched reputation for quality and professionalism. Our Program is widely recognized as the gold standard in home inspection training in North America. When you graduate, you will have the knowledge and confidence you need to rank among the best! With the right education, you can earn $100,000+ too and become a leader in the industry. $2995 for the Program (all 10 Courses); or $345 for any single Course. Includes all learning materials, tests, exams, tutor support and ongoing postgraduate support. Are you ready to become a home inspector? Not ready to take the full program but want to learn more about the field? Take our Introduction to Home Inspection Course. At $795, it’s a great value and primer to the profession. Plus, it will prepare you for the full program.